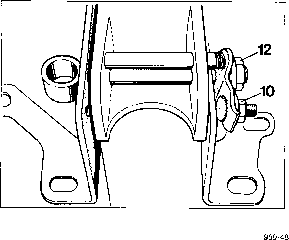 If the steering wheel height adjuster is modified to the new version, assembly may be started from item 2 immediately after removal of the knee protector strip (e.g. 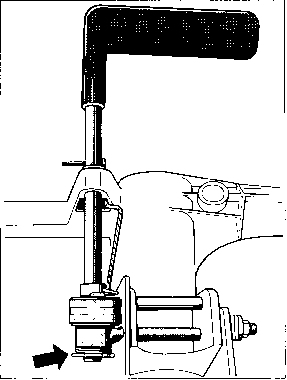 if the adjuster lever/through bolt union is disconnected). 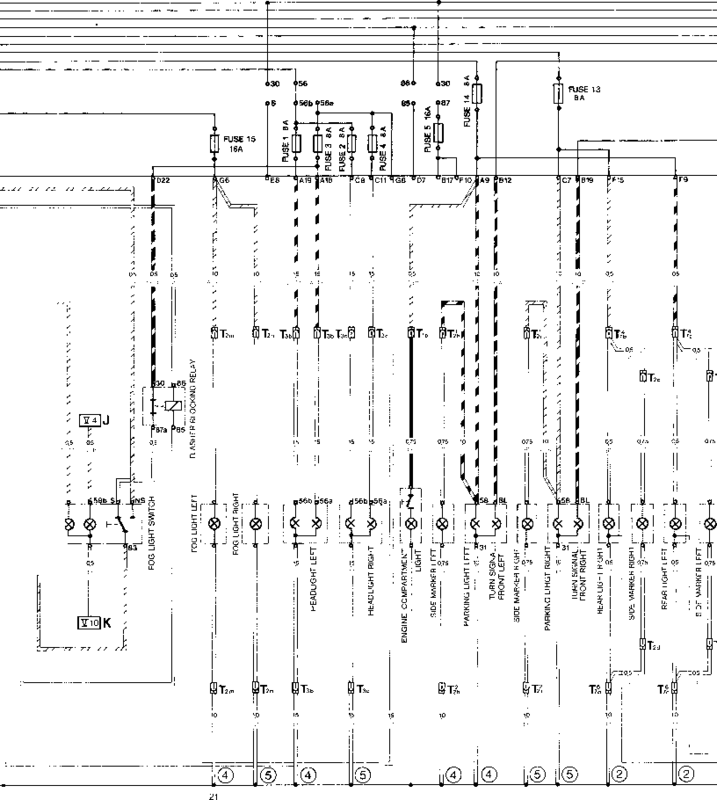 This means that adjuster mechanism items No. 10 to 18 (page 48 - 34) do not have to be dismantled any further. 2. Turn adjuster lever of height adjuster to the open position. For dismantling sequence, refer to explosion drawing on page 48 - 34. 1. If required, fit parts No. 10 to No. 18 (p. 48 - 34). 2. For further assembly or fitting, use only the parts applicable as of MY '92 (modified version with spring clip). 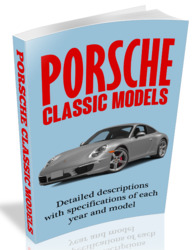 For identification of the relevant parts, refer to page 48 - 40. 3. Undo lock nut (No. 10). Open setting nut (No. 12) by a minimum amount. If parts - No. 10 to No. 18 - had not been removed, mark previous position of the setting nut (No. 12). 4. Insert eccentric (No. 6) with small washer (No. 5) and large washer (No. 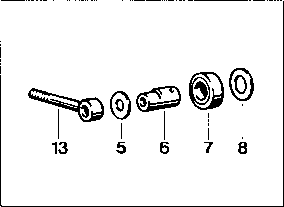 8) as well as needle-roller bearing (No. 7) into through bolt (No. 13). Use multi-purpose grease. 6. Install spring washers (2 pc.) and spring clip. 5. Place pilot bushing (No. 9) into the column tube. Insert adjuster lever (No. 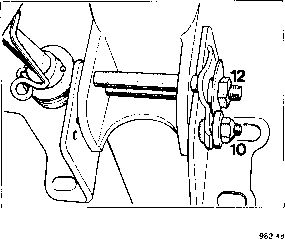 4) in open position (lever points straight down) into pilot bushing (Nr. 9) and into eccentric (No. 6). The wider side of the eccentric must face down. If required, turn eccentric accordingly. Place a new spring (No. 3) into the described position (holes in eccentric and adjuster lever mate up with each other). 7. Adjust setting nut (No. 12) of the through bolt carefully. 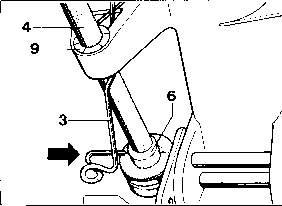 Proceed as follows: Tighten setting nut until both the steering wheel height adjuster operates perfectly in the open position and the clamping action at the adjuster mechanism is fully operative in the closed position. Following careful adjustment, tighten the lock nut (No. 10). This causes the setting nut (No. 12) to be locked. 8. Check operation of the steering wheel height adjuster repeatedly and fit the corresponding parts (knee protector strip etc. ).